The new management team at a Scottish care home say the service is being transformed, following a series of critical reports by watchdogs. The team at Pentland Hill has spent more than eight months revamping and restructuring the Pentland Hill Care Home to deliver improvements. Now the scale of the changes have been outlined by bosses, who have also apologised to the residents and their families who were affected by recent events. Kirsty Dace has led the new management team behind the turnaround. She said: “What is most important is that we can now say with confidence that Pentland Hill is a safe and well-run nursing home. “We’ve not quite yet reached the highest standards we strive for, but we will continue to improve. Meanwhile the staff, residents and their families are in a much happier place. “The entire management team has been replaced and key appointments include a new area manager and a new home manager. “Our focus, effort and investment have been on making changes to ensure the residents receive the level of dedicated care they expect and deserve. Meanwhile the number of units within Pentland Hill has been reduced from four to three and each has a new manager. The decision to reduce the number of units allows a significant reduction in the use of agency workers, ensuring residents are cared for by permanent staff, giving greater continuity of care. Meanwhile a series of new practices and procedures have been introduced, along with a much greater focus on staff training. 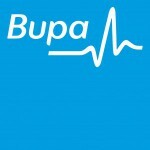 Kirsty Dace, Bupa’s director in Scotland added: “The calibre of the new management team is excellent and they are all highly qualified and experienced. That has been crucial in allowing us to make sweeping changes which affect almost every aspect of the care service. “Specialists in our new Care and Quality team have also been on hand throughout, proactively carrying out audits and working closely with the management team to deliver ongoing improvement. “We were given guidance and support from the Care Inspectorate. They have worked with our own experts and external advisors in areas such as nutrition, infection control, pharmacy and managing pressure ulcers. “As a result we have addressed everything from the way we deliver meals to our clinical processes and how we monitor residents with underlying health issues. Among other headline changes at the care home is additional support at mealtimes to ensure all residents get enough to eat and drink. New processes have been introduced to enhance menu options and ensure all dietary needs are catered for. Weekly weight reviews and proactive observations have also been put in place for residents with underlying health issues. Another important change is the daily clinical meetings and weekly clinical risk sessions introduced to ensure all members of the team are aware of issues and to make sure they are handled and resolved swiftly. Major improvements have been made to managing care plans for individual residents as well as medications checks, while relatives of residents receive much clearer communication about their loved ones and what is happening in the home. Activities have also been overhauled while a new series of “destination points” have been created in the home, where residents can stop and handle interesting objects which provide additional stimulation. Plans have also been drawn up to create a dementia-friendly garden. The care home, based in Corstorphine, currently has 70 residents, including many with dementia who require specialist support. Until late 2012 the service was rated “good” or “adequate” in all four grades awarded by the Care Inspectorate. However in July 2013 the home was downgraded after a critical inspection, prompting the Care Inspectorate to put in place a formal Improvement Notice. HOW CAN OUR AWARD-WINNING PR AGENCY IN EDINBURGH HELP YOU?